Do you come home from work late and it's too dark out, but you need to repot some plants? 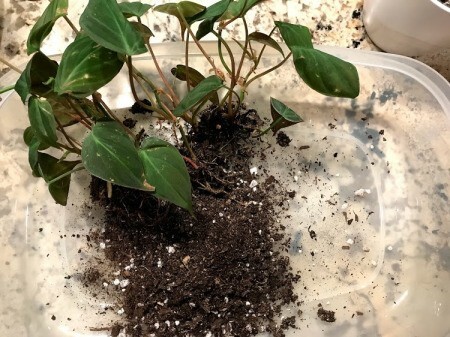 For a mess free method, you can have a dedicated plastic container for indoor repotting. 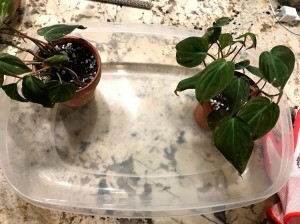 Then cover the lid and store in the yard when not in use!